You may not know exactly what you're looking for, so you’ll need someone that’s patient while you learn your way around. And I also know you may decide not to purchase, and that's important, too - no sales pressure. You may, or may not, find your heart’s desire, but either way, you’ll enjoy searching for it with me. As you research Smith Mountain Lake real estate, remember that while the internet is good for getting a feel for the area, it's not the serious way to find property.This is because web information is always incomplete, and usually very marketing oriented as well. You read cozy, with a rustic feel, and hear charming with a natural setting, but it's more likely the size of a matchbox and feels neglected... So call me and put a professional to work for you! Compare everything, then choose without emotions. One buyer liked a particular mortgage loan officer because she was very nice during the 20 minutes they spent on the phone... When it was all said and done, everything was equal between lenders except the nice one was charging 1/4% more for the loan. This means that for $400,000 financed over 15 years, this 20 minutes was costing her over $10,000. Also, if you will be borrowing a part of the purchase price, get your mortgage loan pre-approved because it puts you in a better negotiating position with the seller if you make an offer. 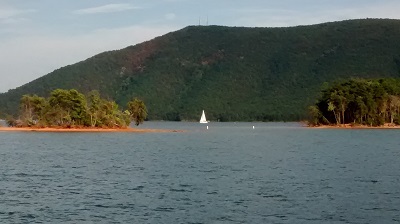 Smith Mountain Lake has 500 miles of shoreline so you'll need to take a little time. Spend the first day here by yourself and drive around the place. (Begin by purchasing a lake map at the Welcome Center or any local store.) Now you can spend the second day with me, visiting a variety of different properties around the lake. Since you spent a day getting to know the place a bit, you'll have a general idea where you are wherever we stop, and this will be a tremendous help in building a frame of reference from which to judge. Seriously, with 500 miles of shoreline you need the time... The lake is huge. We can spend additional days looking at properties, as well, but at some point you'll want to go back home to reflect on it all. In all my years of real estate, I have only sold a property on someone's first visit here two times, and both were essentially pre-sold by friends and family already living here. I’ll give you an individual printout on every property we visit. Keep the ones you like and relentlessly throw away the ones you don't. In addition, make notes that will jog your memory, for example: "huge fireplace" or "great shoreline", etc. Everything is a blur after looking at just 4 or 5 places and this helps keep your thinking clear. After we've looked at 20, 30 or 40 listings, you'll be glad you did this. 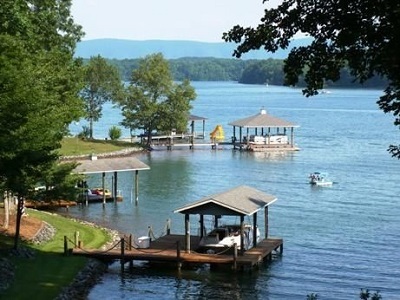 Smith Mountain Lake has a very robust vacation market. Owning a rental home here is a great way to supplement the mortgage payment if the home will not be a full time residence. However, forget the fictional stories about buying the home for free this way. Supplement the mortgage, yes; cover it, no. That having been said, I have some great tips to maximize your gain on this type of purchase! The #1 rule for how much to offer on a property is "less", because you never know what someone will take, and you won't get it for less if you don't try. Real estate is not an exact science and it's never certain what a seller will take for the actual selling price (and terms) for a property. So always offer less, maybe a lot less. Lastly, please call me any time at (540) 721-5050 or email me if I can be of service in any way. It would be my privilege to talk with you!